Reacting to the deadly violence at a white nationalist rally in Charlottesville, Virginia, this past weekend, Oak Ridge faith leaders on Monday condemned white supremacy, racism, anti-semitism, and other forms of hatred, and they asked the Oak Ridge City Council to adopt a resolution expressing similar sentiments. The statement of condemnation of hatred and racism was read by Derrick Hammond, pastor of Oak Valley Baptist Church, during a Monday evening meeting of the Oak Ridge City Council as 14 other clergy members stood by him in support. It came two days after a 32-year-old Virginia woman was killed and 19 other people were injured after a car plowed into counter-protesters on the day of the Unite the Right rally in Charlottesville. About two hours after the car crash, two Virginia state troopers who both have East Tennessee ties were killed when their police helicopter crashed and burned; the helicopter had been involved in providing surveillance and information during the day, the Charlottesville Daily Progress reported. “While the kind of hate, bigotry, and white supremacist ideology that we witnessed in Charlottesville is not new to America, this racist minority movement has been emboldened by what they perceive as support for their un-American world view. Their rhetoric and actions threaten the historic progress our ancestors, from many faiths and ethnic backgrounds, have made toward equality for all. It is now our responsibility and privilege to celebrate the rich diversity of our nation and continue their work. The faith leaders asked the Oak Ridge City Council to draft and adopt a resolution that expressed similar sentiments. Oak Ridge Mayor Warren Gooch said the City Council could re-affirm equal rights for all Americans, and liberty and justice for all, in September. “Over the last 75 years, the best, the brightest, the most patriotic, the most talented men and women from every state in this country, and indeed around the world, have come to Oak Ridge,” Gooch said. “As a result of that, they’ve worked, they’ve made our county safer, they have enhanced our lives, and we our better for that. 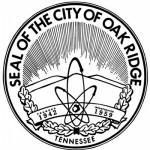 Historically, Oak Ridge has celebrated its diversity of views, its diversity of religion, and we are proud of that. The statement of condemnation read by Hammond on Monday was endorsed by Reverend Sharon Youngs (First Presbyterian Church of Oak Ridge), Reverend Mark Flynn (First United Methodist Church of Oak Ridge), Reverend Brian Scott (Robertsville Baptist Church), Reverend Rory Naeve (First Baptist Church of Oak Ridge), Reverend Jake Morrill (Oak Ridge Unitarian Universalist Church), Father Brent Shelton (St. Mary’s Catholic Church), Reverend Annette Flynn (Flynn Partnerships), Reverend Larry Dipboye and Reverend Carolyn Dipboye (Grace Covenant Church), Reverend Steve Sherman (First Christian Church of Oak Ridge), and Rabbi Victor Rashkovsky (Jewish Congregation of Oak Ridge). Kelly Callison—Like other Council members, Callison recognized the unity of faith leaders from many different religions. That makes the country strong and resilient, he said. Hans Vogel—Vogel said he is the first generation born here from an immigrant. It’s a diverse and unique environment, and there is diversity in the community and an ability to speak up without being attacked, Vogel said. He said he appreciated everyone coming together and looks forward to the resolution next month. Rick Chinn—“This community brought people from all around the world together of all races and creeds to work together for a common goal, and we have, as this community, become an accepting community, and I would greatly hope that nothing like what happened in Charlottesville would happen here in the City of Oak Ridge. You can watch the video of Monday’s City Council meeting here.